Newest Wedding Favors - What Is Hot This Season? The newest wedding favors for this season are all about you and your guests, not about the latest trends that favor manufacturers want you to buy. Think about how you would like to say thank you to your guests for sharing your special day, weddings are becoming more and more personal which is lovely. And your uniqueness will shine through on what you want. 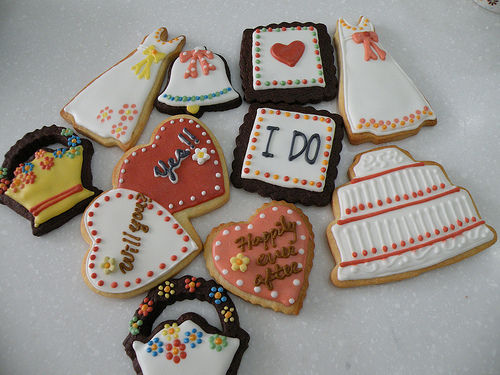 I am all for something yummy to eat as a wedding favor, as they rarely get left behind and are often enjoyed on the day, or taken home for a treat after the wedding. Tacky and cheap looking favors have never been a bride's first choice but sometimes when the wedding budget is getting tight you can be persuaded that this is a good idea rather than not having any at all. My advice would be to not have any at all as these type of favors end up getting left at the end and wasting money is the last thing you want to be doing when you are planning your dream wedding. To avoid falling into the trap of feeling you have to have them, use any money that you were going to use for favors to buy baskets filled with gorgeous chocolates for each table and attach a hand written note thanking your guests for sharing your day. 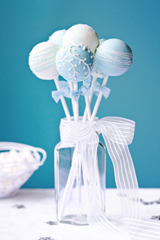 The most popular type of favors at the moment are the practical ones; keyrings, lottery tickets, photo frames, plants and candles and edible favors, are never going to be left behind! The newest wedding favors that are so much fun for your guests is a candy buffet, you could introduce the candy buffet at the end of the evening and have lots of candy displayed in beautiful jars. Or you could have a sweet buffet where your guests get to choose a dognut, a cookie or a cupcake for the journey home. A very beautiful and increasingly popular favor trend is charity donations, use your wedding as an opportunity to raise money for your favorite charity. Have notes on each table explaining that you have donated the money in your guests' names, you could even buy charity pins for each guest and then have a wishing well to collect any extra donations from your guests. Whatever you choose for your wedding favors be happy with your choice and please don't feel you have to, because you don't!